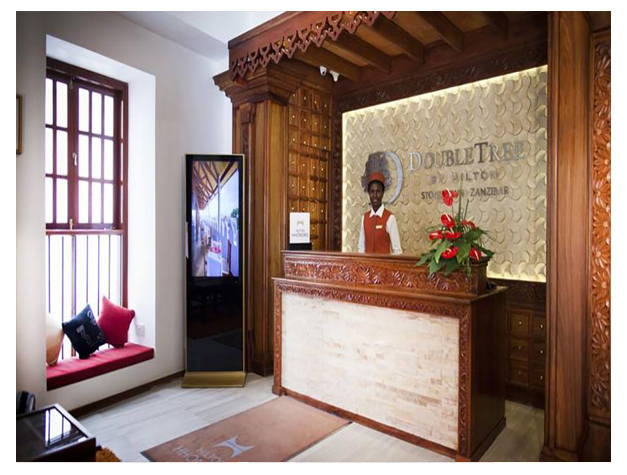 Doubletree By Hilton Zanzibar in Stone Town is located within 7 kilometres from the Zanzibar International Airport. 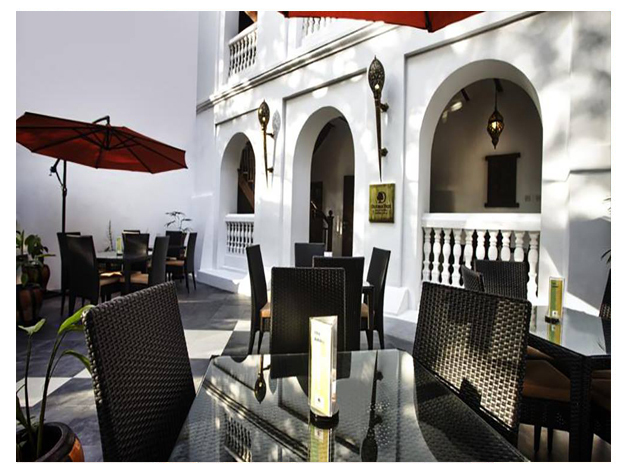 This refurbished, historical hotel boasts rich and warm décor in a traditional Zanzibari-style and features hand-carved furnishings. The classic rooms offer free WiFi and come complete with air conditioning, a flat-screen satellite TV and a laptop-sized safe. The modern bathroom has a shower, hairdryer and bathrobes. Extras include a small refrigerator and tea-and-coffee-making facilities. At Doubletree By Hilton Zanzibar breakfast is served and the à la carte restaurant offers guests a romantic atmosphere for dining. There is a tour desk, business centre and babysitting services available. Stone Town's historical attractions such as the Sultan’s Palace, House of Wonders and Old Fort of Zanzibar are 2.5 km away.